And it tasted like that, too. Here's the recipe I used. 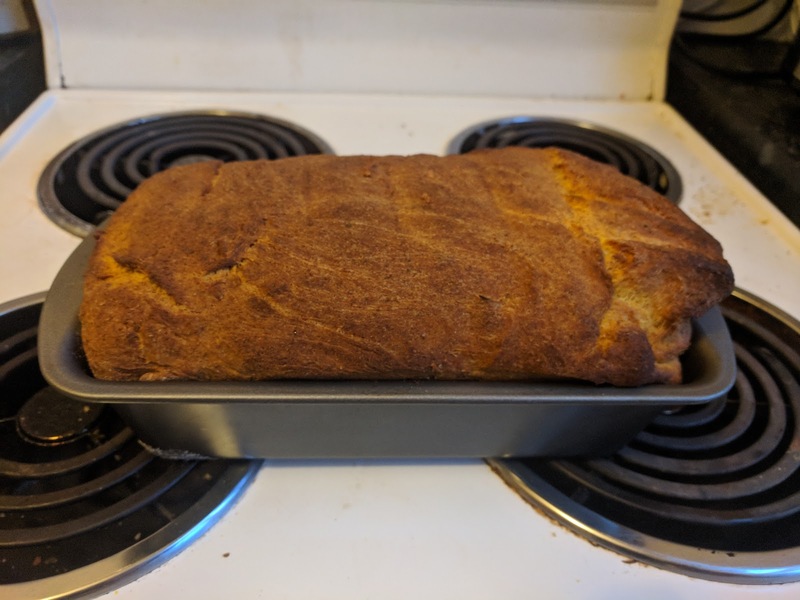 For the warm water, I used leftover water from boiling potatoes, something I've seen suggested in a few other bread recipes, and which I can recommend. Great way of using otherwise "waste" water. You can also use it to water your plants, once it's cooled. I let the dough rise twice - first time after kneading for ten minutes I left it for an hour; second time I left it for about 20 minutes. Baked in the oven at 180 degrees (centigrade) for about 30 minutes. Bang bang. On Saturday night, I started to run out of flour. 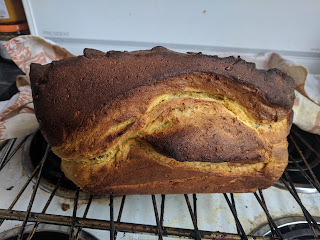 This wasn't so bad though, because I began to appreciate just how cheap flour is, how it comes in paper bags (no plastic = superior) and how I should just get myself several massive bags of bread-appropriate flour. 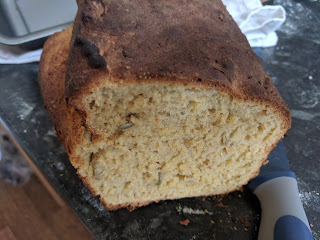 With what was left that evening, I made another loaf, following more or less the same recipe as above, and flavouring this one with dried basil and fresh rosemary, thereby making it Italian. Bread: there's nothing it can't do. When it comes to cheap, delicious, filling and aesthetically satisfying (and, of course, vegan) food, it can't be beat. Time to get myself some more equipment and explore the bread universe more deeply. I'm hooked.